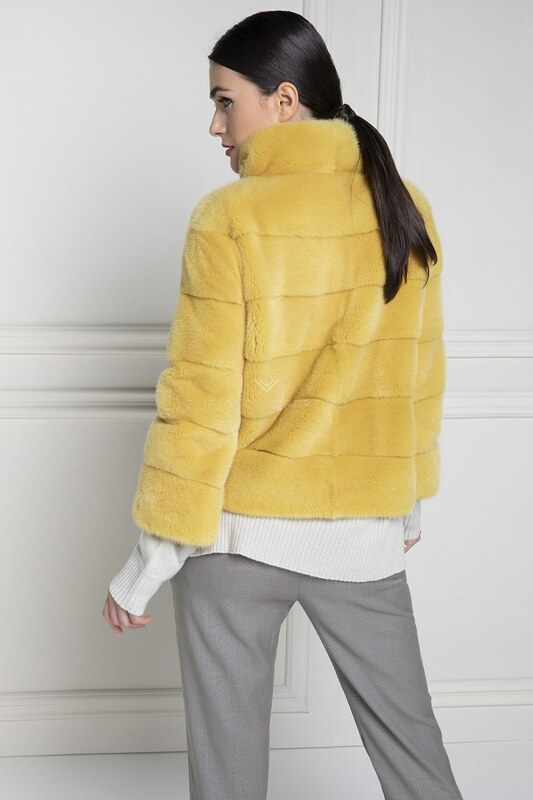 Yellow Mink Jacket with whole skins. 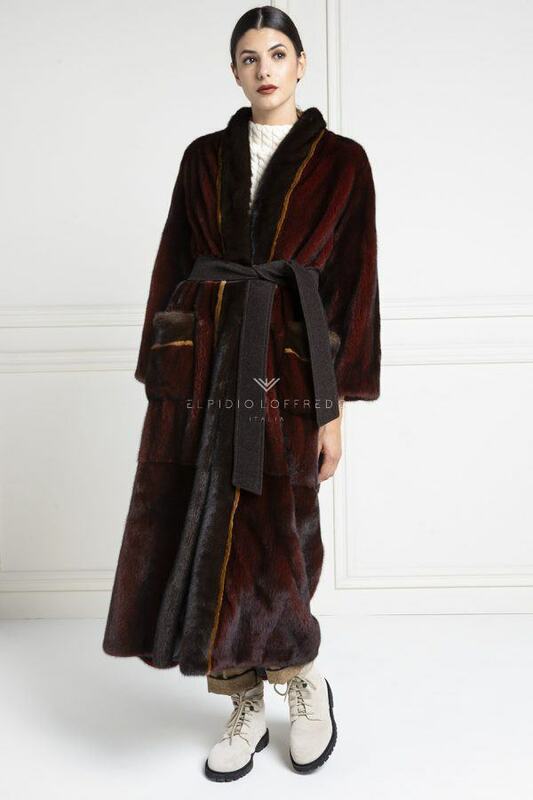 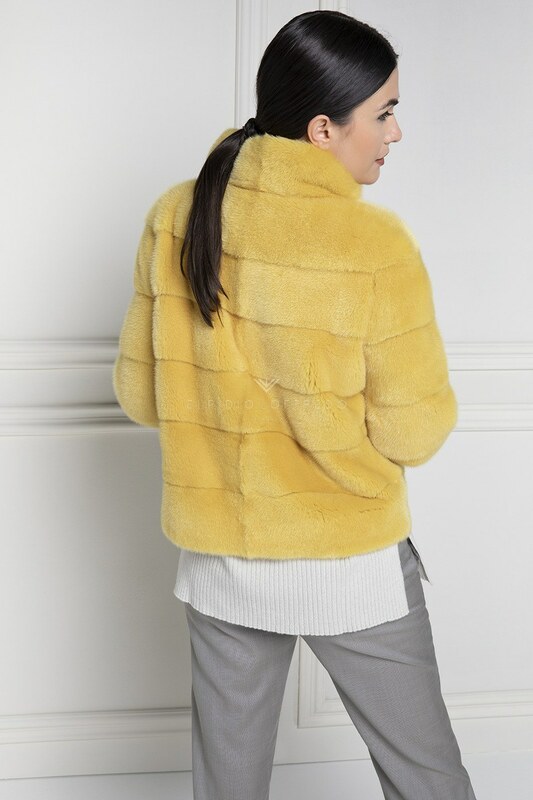 The ElpidioLoffredo Mink Fur Collection presents this elegant yellow mink jacket with best quality skins. 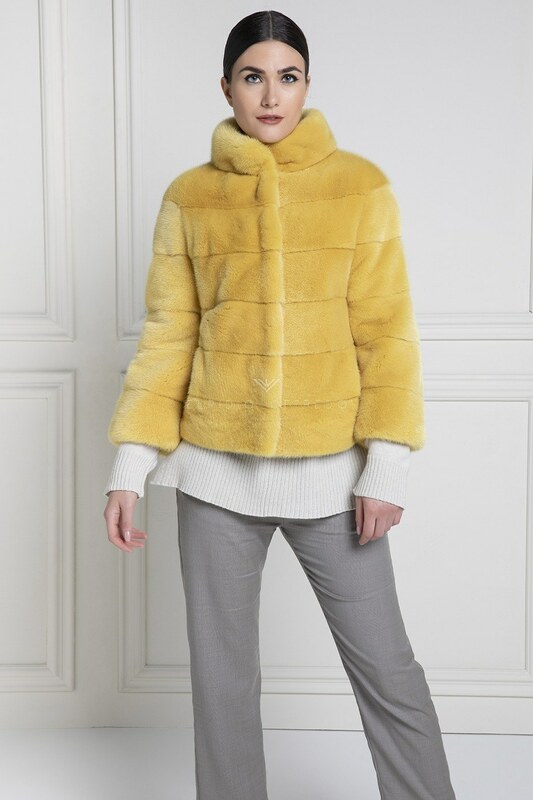 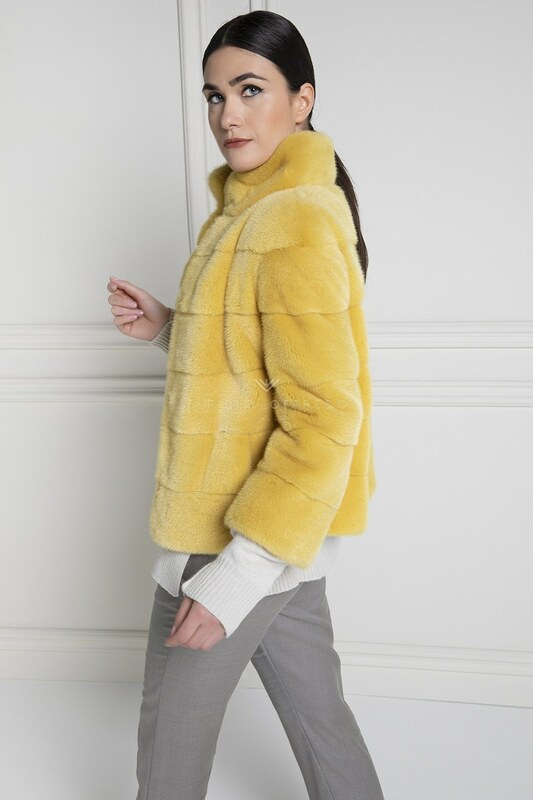 Also this yellow mink jacket, as the most part of the collection, is made by using female mink, carefully selected by our laboratories. 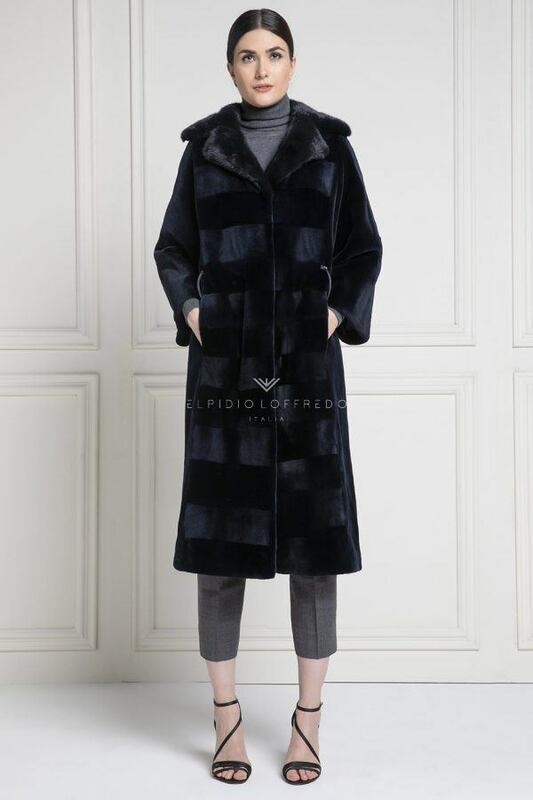 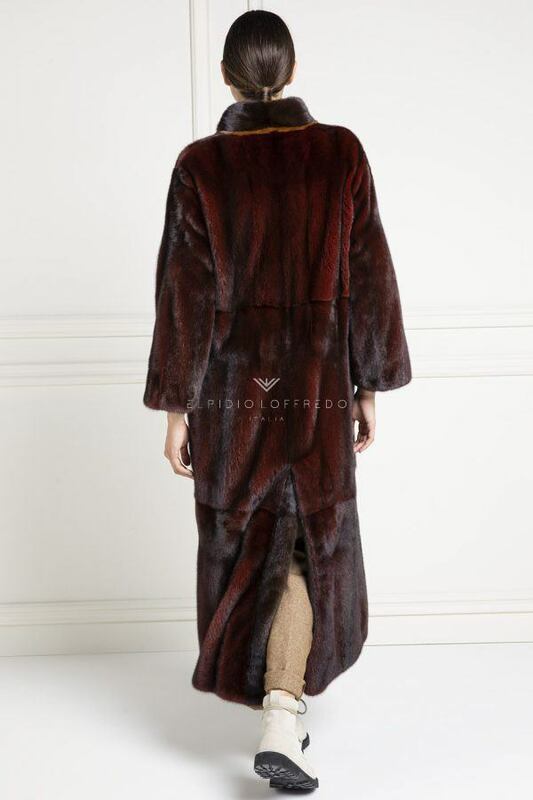 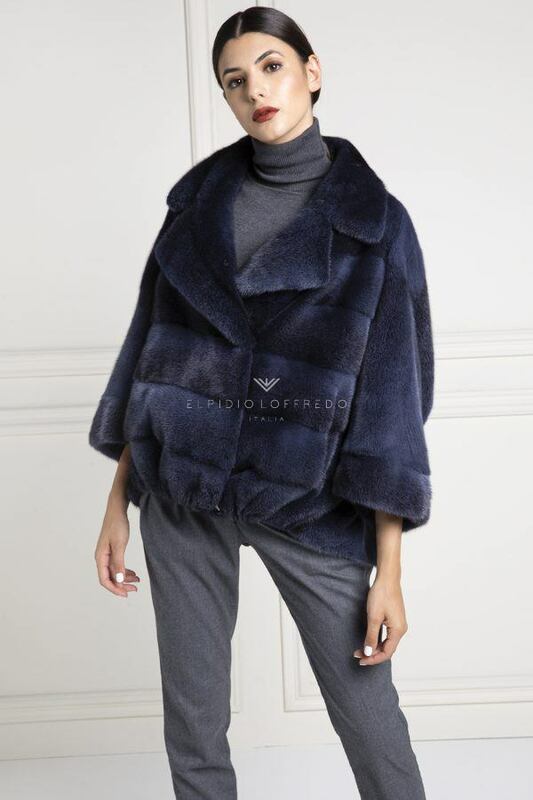 The type of female mink fur used for this mink jacket is Danish , precisely from the auction house Kopenhagen Fur. 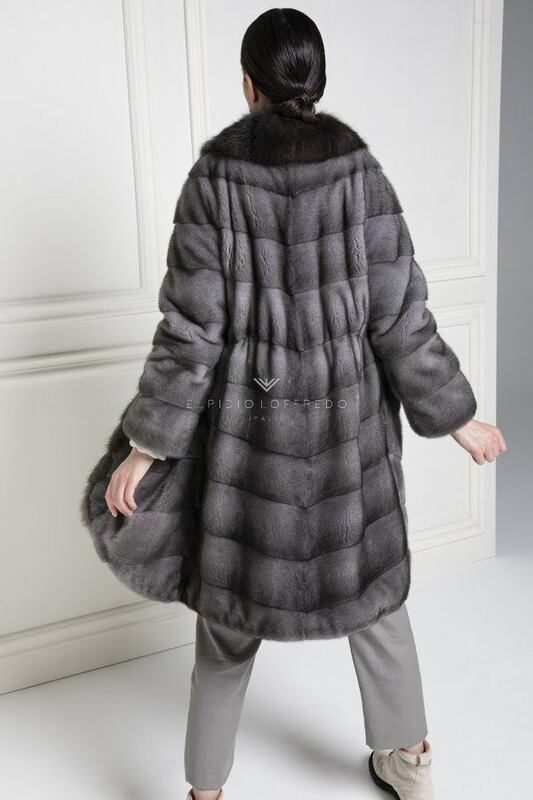 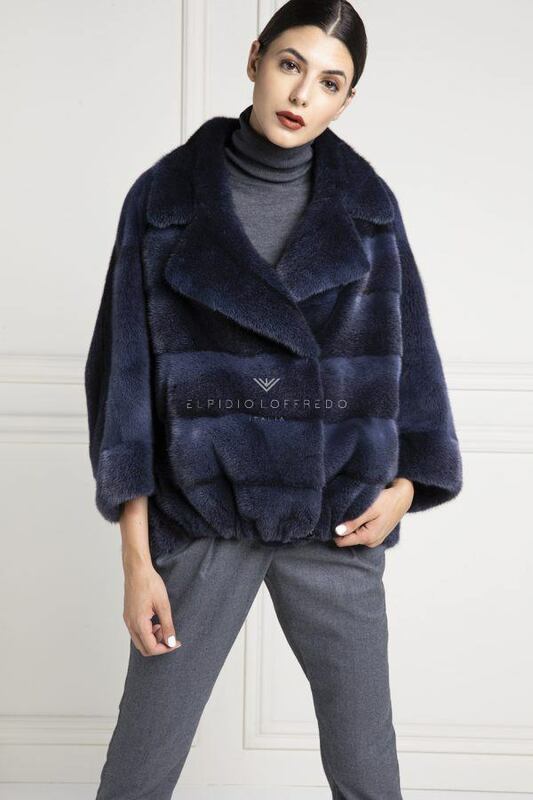 The main features that make this female mink jacket elegant are the round collar, the 3/4 sleeves, the hook-and-eye closure and the stylish 2018-19 lining that give that extra-class touch. 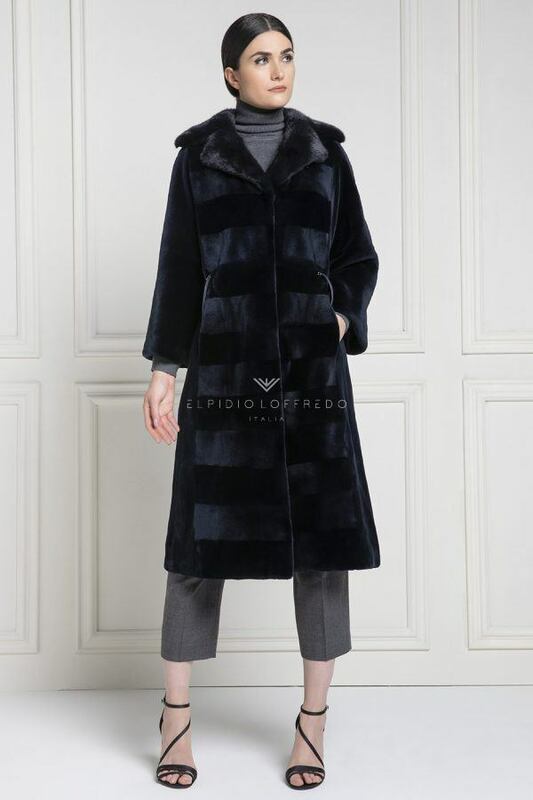 Sign up for the ElpidioLoffredo world, you will receive a discount coupon on your next purchase. 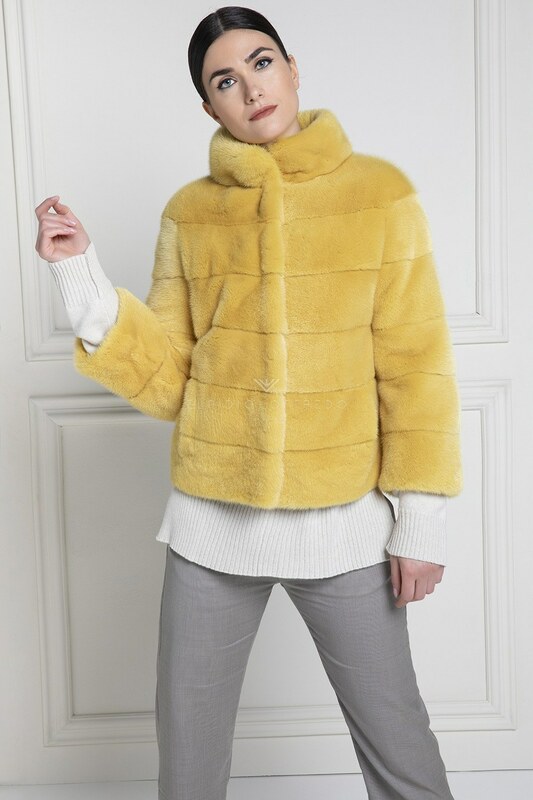 Order now this Yellow mink jacket, the shipping is free and very fast, and you have the option to customize your payment method.